There are soo many monsters to choose from but which one of those monsters/custom made monsters do you like the most? 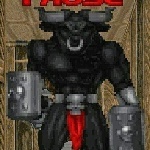 Mine are the cyberdemon, cacodemon, baron of hell, hellknight and my favorite number 1 monster that I have loved for years was the hellsmith. What favorite monster/Enemy do you like?